As you probably know, we’ve had the Nokia N9 in our office for a few days and we are hard at work to unveil every secret it has. And one of the first findings we had was that the FWVGA AMOLED of the MeeGo flagship is using a PenTile matrix, instead of a regular RGB one. 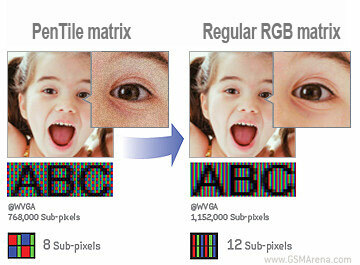 It’s the same kind of matrix that we saw with Samsung’s first-gen Super AMOLEDs, where each pixel is composed of two subpixels rather than three. This gives less room for sub-pixel rendering and reduces the effective resolution, when displaying super fine detail. Let’s just make one thing clear – with a pixel density of 251 ppi, the Nokia N9 still has an amazingly sharp display and it’s not that easy to spot the side-effects of the PenTile matrix. Still, if you look really closely, you will be able to spot the familiar dottiness. 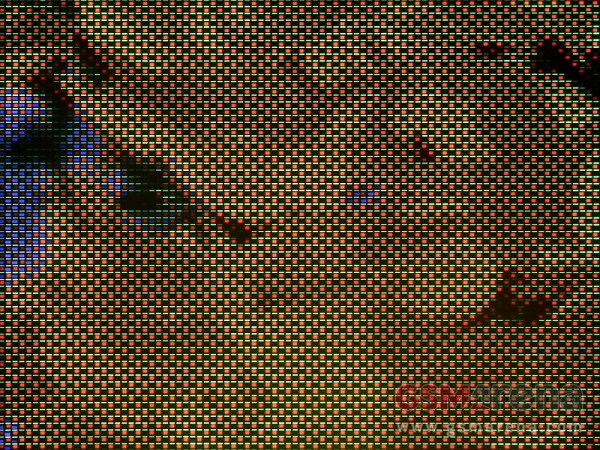 Now here’s the promised proof – a close-up shot of the Nokia N9 pixel grid. Notice that each pixels consists of one green sub-pixels and one double-sized subpixel that’s alternating between blue and red. 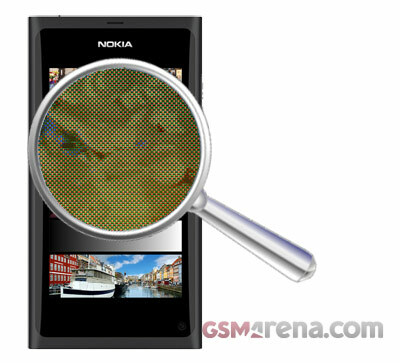 So what do you make of this – is the PenTile matrix going to affect your decision to purchase the N9?